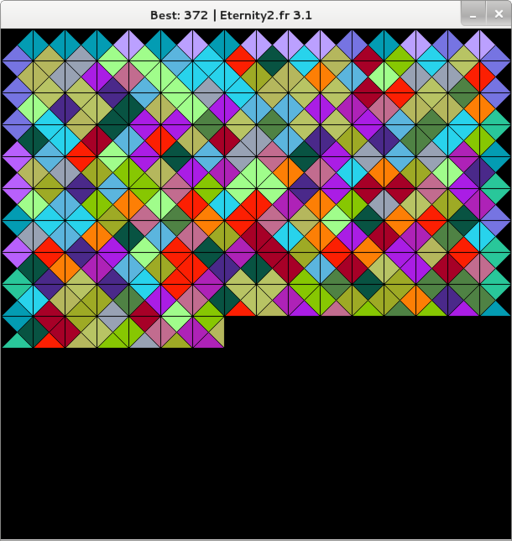 The "Eternity2.fr" project was an attempt to solve the Eternity II puzzle using a distributed software. Since the Eternity II contest is over, I have deciced to publish the source code of the software used on the website. This is version 3.1, which is the last version on which I worked alone. The following versions (4.0 and 4.1) were the result of a collaboration with Louis and I am not the author of the resolution algorithm. The SDL library is used for the graphical user interface, the cURL library is used for network communications.